The store occupies a 20,000 m2 site and has over 90,000 m2 of selling space in over 330 departments making it the biggest department store in Europe. By comparison Europe’s second-largest department store the KaDeWe in Berlin has a retail space of 60,000 m2. 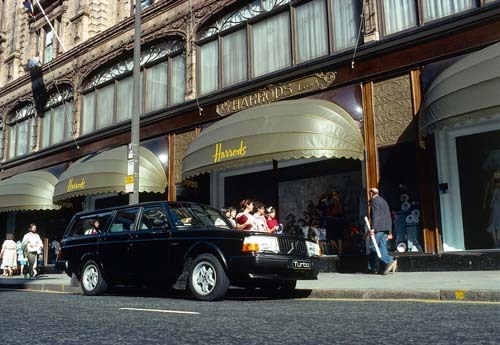 The Harrods motto is Omnia Omnibus Ubique—All Things for All People, Everywhere. Several of its departments, including the seasonal Christmas department and the Food Hall, are world famous. 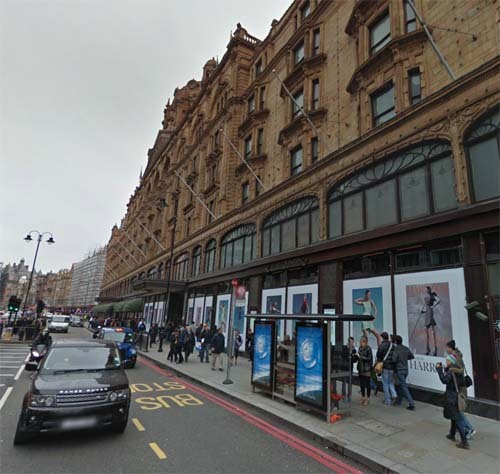 Since the deaths of Diana, Princess of Wales, and Dodi Al-Fayed, Mohamed Al-Fayed’s son, two memorials commissioned by Al-Fayed have been erected inside Harrods to the couple. The first, located at the base of the Egyptian Escalator, was unveiled on 12 April 1998, consisting of photographs of the two behind a pyramid-shaped display that holds a wine glass smudged with lipstick from Diana’s last dinner as well as what is described as an engagement ring Dodi purchased the day before they died. 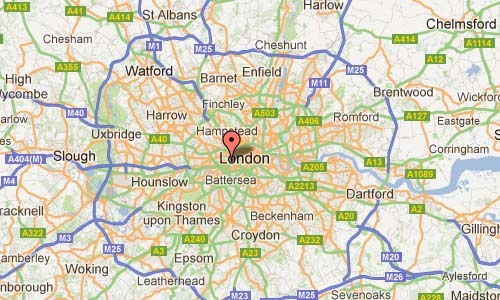 More information at http://en.wikipedia.org/wiki/Harrods and www.harrods.com.